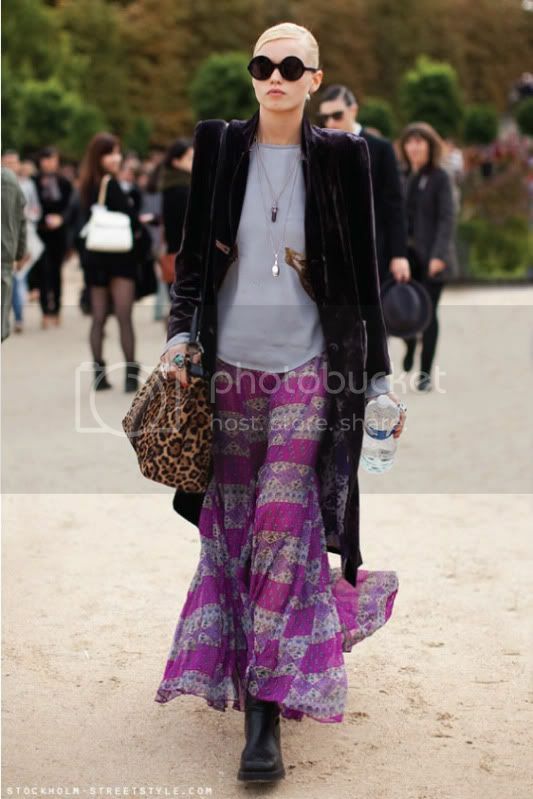 Love the maxi dresses/skirts Abbey Lee Kershaw was spotted wearing during the recent S/S 2011 fashion week. Going platinum blonde was such a refreshing change for her as well. My favourite among the bunch would have to be the first and second look. Sheer maxis still top my list at the moment. I especially HEART 'maxi dress infuses with sheer'!